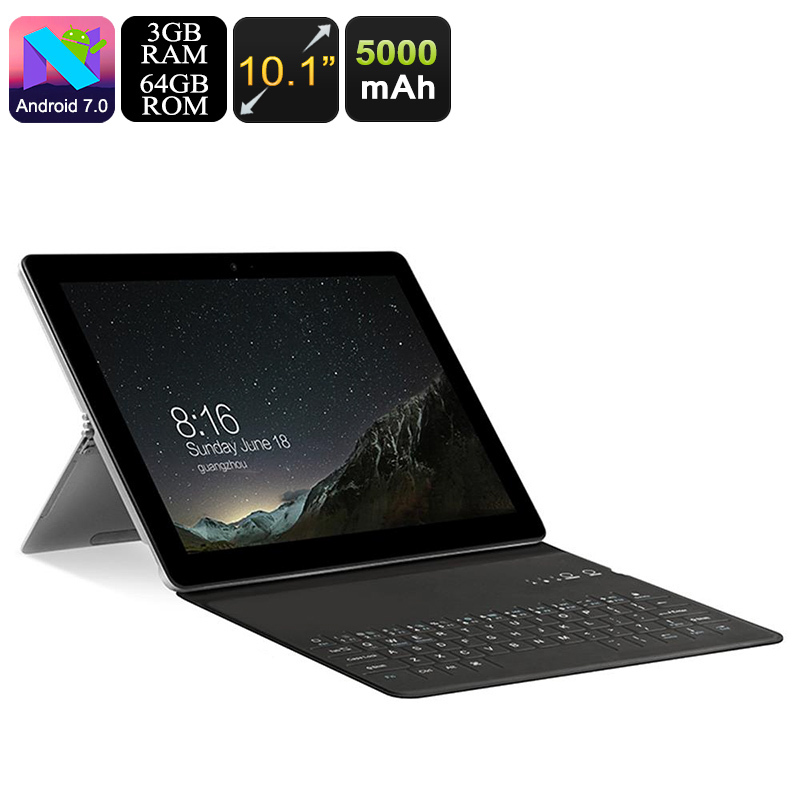 Successfully Added VOYO i8 Plus Tablet PC - 10.1 Inch Screen, Dual SIM 4G, Octa Core CPU, 3GB RAM, Android 7.0, Keyboard, 5000mAh Battery, to your Shopping Cart. The 10.1-inch screen makes the VOYO i8 Plus tablet the optimum in usability and functionality. The VOYO i8 Plus is the perfect all-rounder tablet PC. It has enough power for gaming, a keyboard for business use and 4G connectivity for keeping you connected while on the go. With stunning looks, great specs and affordable price it's hard to find fault with this excellent offering from VOYO. At 10.1 inches the screen on the VOYO i8 Plus tablet PC is large enough for business use, writing documents, emails and creating reports, but at the same time is small enough that it easily slip into a bag and is lightweight to carry around with you everywhere. It is the optimum in usability and functionality. This metal body tablet has a metal frame and ingenious body incorporating a stand. along with the magnetic keyboard, this makes it easy to convert the tablet into a laptop. the stand is also great for watching movies or surfing the web. With an Octa-Core processor 3GB of RAM and running the Android 7.0 OS, there is enough power for all your apps and games to run seamlessly. With the Android OS, you can run two apps side by side with the split screen mode and enjoy even better productivity. One of the best features of the VOYO i8 Plus tablet computer is the two SIM card slots. These bring superb connectivity to cellular networks as each supports 2G,3G, and 4G. Not only does this make calls possible on the device but you can also enjoy the fastest mobile data connectivity around. This will let you stream HD movies or participate in online gaming without any lag or stutters. To ensure you can get the most from your tablet experience for the longest time possible VOYO have put a 5000mAh battery on this tablet PC so you can enjoy great usage times from every charge. This VOYO i8 Plus tablet computer comes with 12 months warranty, brought to you by the leader in electronic devices as well as wholesale tablets PCs and cool gadgets..